In May, 1889, at the Great Catholic Meeting in Preston's Public Hall, it was proposed that an institution be established in the region to receive destitute and orphaned Catholic boys who might otherwise grow up in a workhouse and, it was feared, lose their faith. By 1891, a 17.5-acre site had been obtained at the east side of Garstang Road, Fulwood, and fund-raising begun to raise money for construction of the building. Its foundation stone was laid by the Bishop of Liverpool, Bernard O'Reilly. The Bishop's death in 1894 prevented his seeing the project completed but when the establishment was officially opened on July 20th, 1896, it was named the Bishop O'Reilly Memorial School. The institution was also referred to as the Liverpool Diocesan Poor Law School although was most commonly known as St Vincent's School (or Home). A similar establishment for girls was opened at Leyfield, Liverpool, in 1894, where boys were temporarily admitted until the Preston School was completed. On 31st March, 1897, the School received its formal accreditation as a Certified School. It initially accommodated 250 boys, aged from 7 years upwards. In 1901, the construction of additional wings increased its capacity to 300 places. The School was run by the Daughters of Charity of St Vincent de Paul. As well as elementary and religious education, the boys received physical training. The usual games of football, cricket etc. were supplemented by the provision of gymnastic equipment such as dumb-bells and Indian clubs, with a drill sergeant employed to instruct the boys. Industrial training in manual trades was provided to equip the boys for employment when they left the School. The boys' brass band provided a musical training which led some of its members to careers as military bandsmen. From 1901, the School made use of an Auxiliary Home at Francis Street, Ashton-on-Ribble, which was shared with Preston's St Thomas's Industrial School. 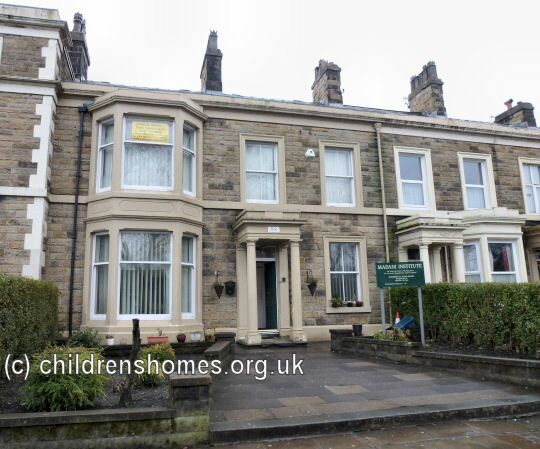 The home provided transitional accommodation for up to 30 boys aged from 14 to 16 who were beginning independent life and employment in the area. Another home for working boys was opened at 98 Deepdale Road, Preston — later expanding to include 96 Deepdale Road. In 1956, the School transferred to smaller premises at Tulketh Road, Ashton-on-Ribble, then finally closed in 1966. The buildings at Fulwood were demolished and replaced by the St Thomas More RC Secondary School. Caritas Care (formerly Catholic Caring Services), 218 Tulketh Road, Ashton on Ribble, Preston, Lancashire, PR2 1ES.